This easy-to-make sous vide chipotle chicken is perfect for torta (a Mexican sandwich) or taco night. Serve it with fresh tortillas, cilantro, crema, and pickled red onion. It’s also very versatile and would be great with rice, in a burrito, or on a salad. 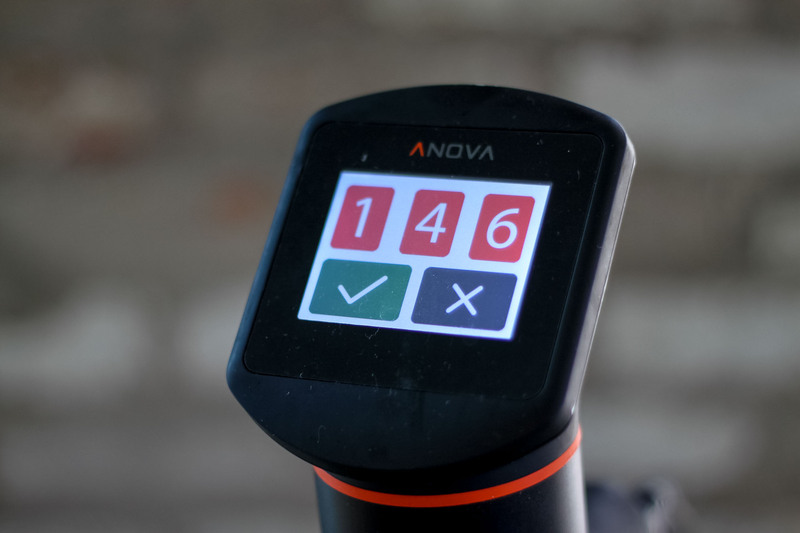 Set the Anova Sous Vide Precision Cooker to 146ºF (63.3ºC). Season the chicken breasts liberally with salt and pepper. Place in a large zipper lock bag with the tomato puree, adobo sauce, chipotles, honey, garlic, and cumin. Seal the bag using the water immersion technique and place in the water bath. Set the timer for 1 hour. When the timer goes off, remove the bag from the water bath. Remove the chicken from the bag and let rest for 10 minutes. Reserve the cooking liquid. When cool enough to handle, shred the chicken into bite-sized pieces. Discard bones and skin. In a large bowl, toss the chicken with the reserved cooking liquid and lime juice. Season to taste with salt and pepper. Serve.